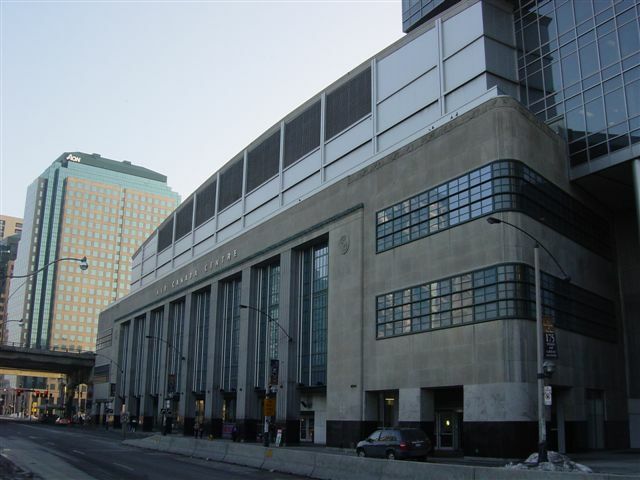 When the Toronto Maple leafs played their last game at Maple Leaf Garden in February 1999 against the Chicago Blackhawks they not only lost the game that night, the NHL also lost the last remaining arena from the Original Six era. More than 1.500 dollars were paid for the exclusive right to watch the Maple Leafs a last time in their old barn in a season that saw the Leafs capture their division and move to the Eastern Conference Finals, where they were downed by the Buffalo Sabres. Tickets for the last home-game were also sold in a lottery, a procedure that was also used for the opening game at the all-new Air Canada Centre against the longtime-rivals from Montreal, the Montreal Canadiens. 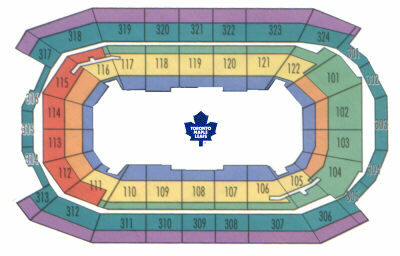 Just as the Maple Leaf Garden the Air Canada Centrr is also located at the perimeter of the inner city. Only a couple of steps from the CN Tower and the ballpark of the Toronto Blue Jays the old main-building of the canadien post was transferred into one of the most sophisticated arenas in the world. While the skeleton of the historical building was left partly unchanged the interior of the complex was turned more than upside down. The arena is also a fresh change to most other new arenas of the 90s that all basically look alike with three levels of normal seats separated by two levels of suits. At Air Canada Centre one will find most of the suits more or less hanging at the end of the ice-surface on both sides while there is only a single row of suites around the playing surface (some tickets on the straight are also suit-seats, see end of article). While everything appeared to be great and exciting around the new home rink of the Maple Leafs tempers arouse a bit when the Leafs announced that they would increase their number of season tickets in the new building and lift the number close to 17.000. Combined with the high-prices of those season-tickets and the fact that most of them belong to various companies it didn’t get any easier for the ordinary Joe to catch a good seat for a game, a problem many hoped would be solved with the move in a new facility. And with a capacity of about 19.000 one can only speculate whether the Maple Leafs tried a different approach than the Montreal Canadiens with their only seldomly filled 22.000 seat-facility (many of them cheap). 3.5 million people in one of the hockey-craziest city in the world and only 2.000 tickets for the normal box-office sales definitely lead to a situation where holding a ticket for a game comes close to a status-object, especially if it is taken into consideration that at a price of about 75 dollars for the average ticket is not exactly available for pocket-change. The bottom line is simple: the arena always sold out, the patrons either not caring about the price (companies) or happy just to get a ticket once in a while (ordinary Joe), a money-machine for the owners to be sure. I can only say that I paid a scalper once 150 dollars for a lower-level seat at the Molson Centre for a Saturday night game against the Toronto Maple Leafs. In Toronto I paid 120 dollars for a comparable seat at the box-office. The only unsolved question is what the going rate for such a ticket would be at a scalper? A car? A house? The main problem in Toronto should be the ticket-situation. As I mentioned before there are not a lot of them and those that remain until the opening face-off probably cost more than a 10-game-pack at most other arenas. If you want to get affordable upper-level-seats try way in advance, if you even want more than one ticket next to each other, try on the first day the tickets go on sale. This situation also won’t change anywhere in the future with the high number of season tickets that are being sold. It is only telling that the Toronto Raptors came up with a "buy 5 Raptors tickets and have the right to buy a Leaf-ticket"-campaign a while ago. And if there are not tickets left there is always Wayne Gretzky´s restaurant around the corner where you can catch the game on TV. The food might be overpriced but compared to the Air Canada Centre nothing is overpriced anymore. Several NHL-tourists and local Leafs-fans mailed and told me that it isn’t that hard to get affordable tickets on the street prior to games against weaker opponents on weekdays, especially during the first months of the season. 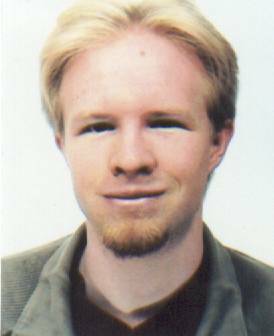 A NHL-fan from Germany even stated that he didn’t have a lot of trouble finding tickets for Mario Lemieux´s first comeback-game at the Air Canada Centre even though he paid a nice sum for those. The bottom line is that your trip to Toronto is not ruined when you can’t get tickets online, you will get them for sure around the arena. The price? Oh well, just check it out and tell me about it. And with Toronto being the largest and besides Montreal and Vancouver probably the most interesting city in Canada a night without a ticket (if you don’t want to sacrifice your retirement savings) probably won’t turn to boring after all (hey, we’re not in Ottawa). If you just decide that you want to see a game next week and need good tickets there is also always a travel-agency called Roadtrips available. While I am not a fan of their prices it is still a good choice in a desperate situation. You will find the link below this article (and I don’t get paid by them even though a 30% provision should be possible with their prices). If you have a ticket or deep pockets the Air Canada Center is extremely easy to find (just behind the main train station near the CN Tower). With the ballpark around the corner there should also be more than enough parking available and it’s also only a 5-minute walk to the entertainment district where you can find nice restaurants, musicals and maybe some happy scalpers, celebrating another great evening. 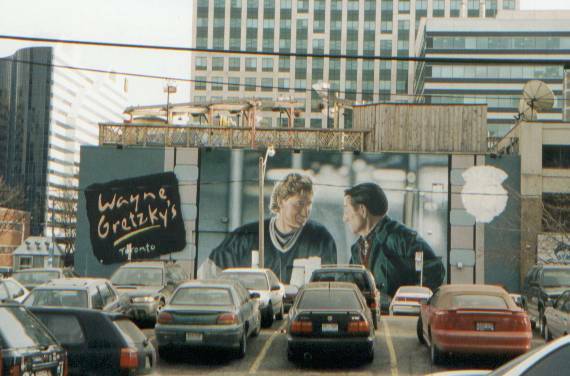 Wayne Gretzky´s restaurant, about 10 walking-minutes from the Air Canda Center and just a couple of meters from the King Street, Toronto´s busiest nightlife&entertainment street. If you find it disturbing to see that many seats on the straights in the lower-level are unoccupied at times during the game it might be important to know that the first couple of rows on the straigths are also corporate suits-seats. The suites themselves are located below the seats on the ground level and you can actually punch Tie Domi through the door of the suite when the teams walk to the ice. And when the game is bad and the buffet down in the suits is good many ticket-holders appear to choose the game on tv down there instead of the view inside the arena.